An important role of Florida’s byway organizations is to support the conservation of the resources that earned the scenic highway designation. The 2018 Florida Scenic Highways Annual Report focuses on natural resource conservation and the important role byway organizations play in raising awareness of conservation issues. From guided trail walks to environmental education fairs, the Department is proud of the way byway organizations lead by example. Byway programs and events are popular and enjoyable opportunities to learn and raise awareness of the need to protect Florida’s most precious resources and inspire the next generation of conservationists. We encourage byway organizations to use this report as an opportunity to update byway stakeholders on what byways are doing. 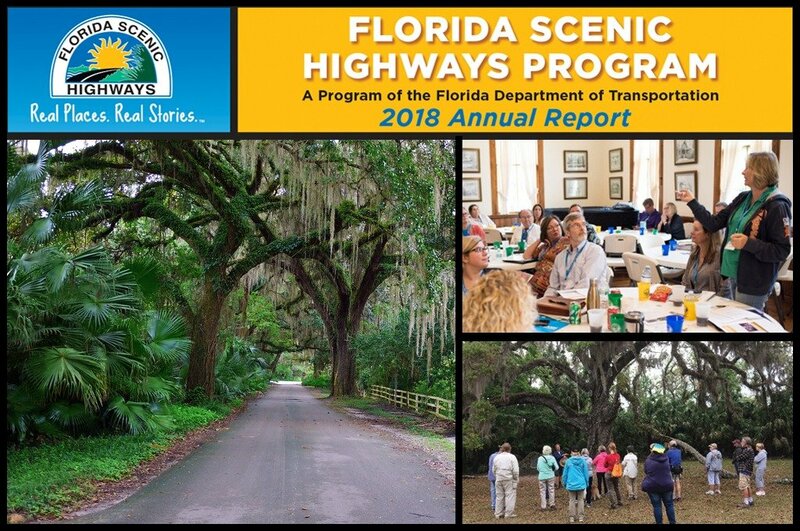 The 2018 Florida Scenic Highways Program Annual Report is only available electronically. Byway organizations have permission to print and distribute the document, and it is designed to print on laser printers.